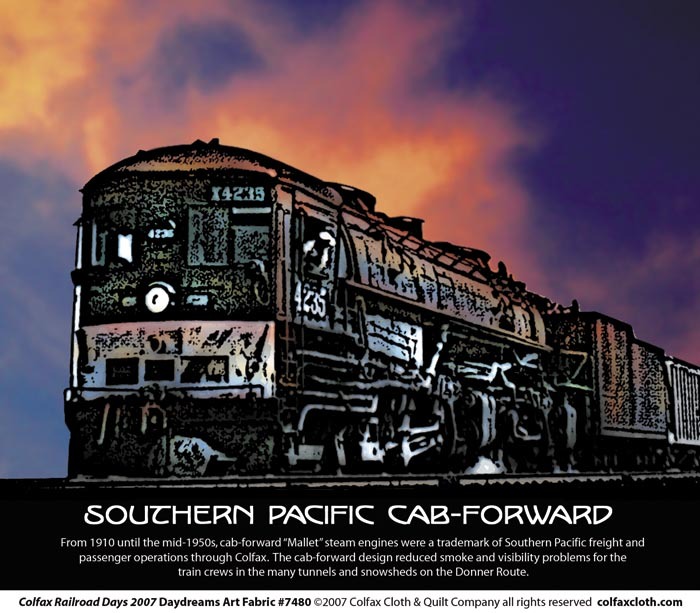 Description: This artistic interpretation of a vintage photo depicting the Southern Pacific Cab forward engine appeals to train enthusiasts. The artwork was originally created by John Potter to commemorate the 2007 Colfax, California, Railroad Days. It is the first in a series.